With a little bit of clever computing combined with our trip logs we bring you our top 5 adventure activities we have available from Newcastle. 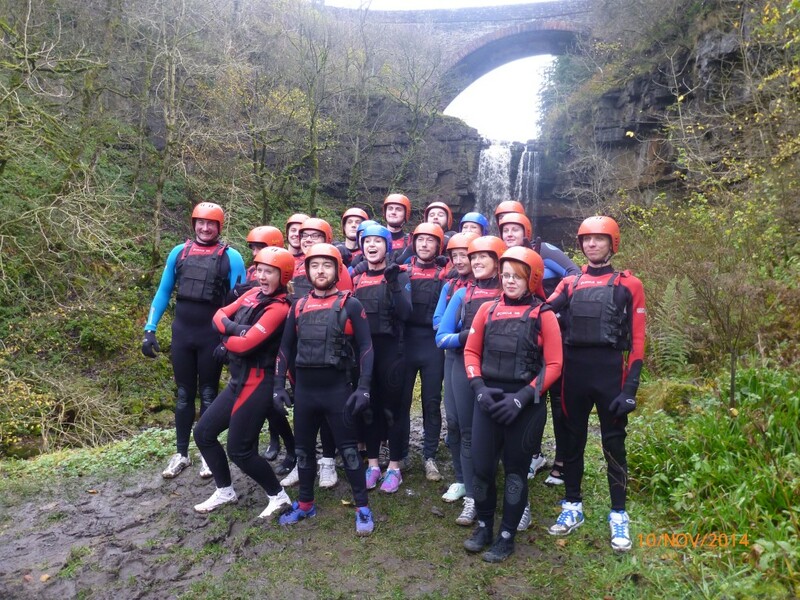 All of our adventure activities are very popular with stag and hen groups, we cater for large groups and all of our trips include free transport from your hotel. When considering options for stag and hen weekends, logistics are often a big part of the planning, with transport free and taken care of we are the clear first choice for most. With climbs, jumps, slides and scrambles this is the one everybody loves. No matter how adventurous or extreme you are there is something in the trip you will enjoy. Non swimmers are welcome, you will be provided with a well fitting wetsuit, buoyancy aid and helmet to keep you safe and sound. This trip including transport from Newcastle takes around five hours. Floating and crashing down waterfalls in a rubber ring! What could be better right? Well in second place, this is a very popular activity for us and is often combined with gorge walking / ghyll scrambling to make a full day of outdoor activities. This trip ends with an added waterfall jump into the mighty River Tees which is the perfect way to end your trip. Based in Coniston in the Lake District we climb, scramble and jump our way through a stunning canyon with clear blue water. Canyoning involves climbing with ropes and some high jumps into narrow pools, it is an excellent adventure and thats why its our fourth popular activity. Based from any lake, beach or river this activity is all about getting from A to B with lots of crazy activities on the way. From front flips to the gladiator duel there is something for everyone. This outdoor pursuit is ideal for those who have less time but still want to have a great time. We have lots of other options which can be seen on the “Our Activities” section of our site.